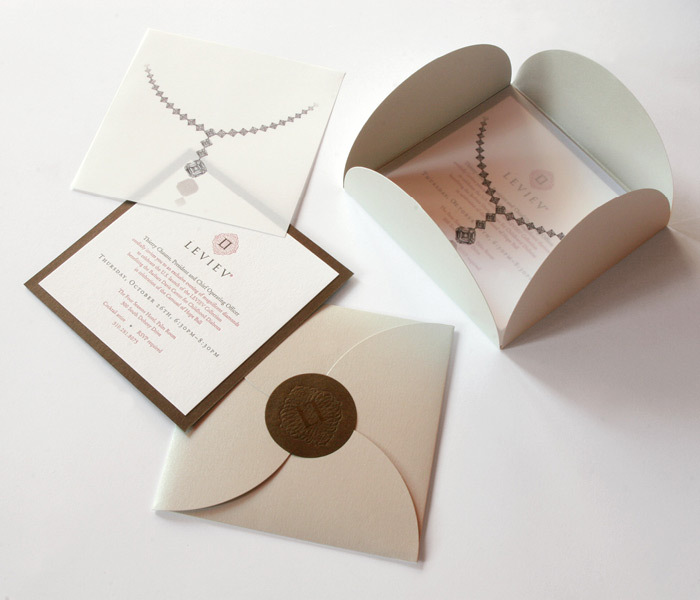 I was surprised when this client fell for all my fancy bells and whistles — letterpress printing, vellum overlays, sparkling paper, seals and hand-mounting. But for Leviev’s U.S. debut, fancy was in order. And it’s pretty fun to be fancy sometimes. Many thanks to my friends at Aardvark Letterpress for their expertise. Leviev’s next event, a press preview, was maybe not as fancy but still pretty fun. 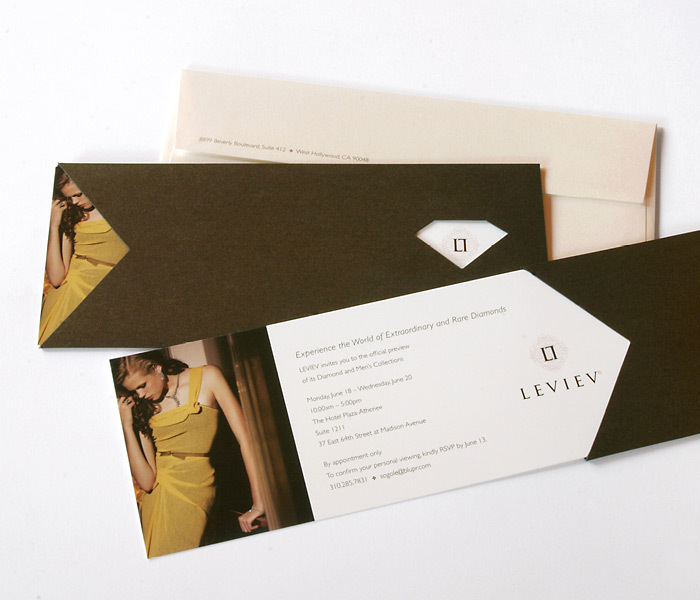 Cleverly placed die cuts combine well with their luxurious photography.